Crossfire Motorcycles Pty Ltd was established in 2008 and has a solid background and experience in the Automotive industry. This insures stability and a long-term commitment to our customers. Our supplier network spans three continents across the Globe (China, Canada and Australia). Crossfire is a dealer based network. It has always been our belief that our dealers are the extension of our company and it is through the Dealer Network we develop, grow and provide our customer support. Vadim Shvartsfeld, the Director of Crossfire Motorcycles, has vast industry experience spanning over a decade within car and motorbike industries. He has a strong vision for Crossfire to become the Australia’s Market Leader within Chinese Recreational as well as Agricultural / Farming high performance motorbike industry sectors. We have an extensive heritage and experience in China and other markets. The relationship with our suppliers has been long-lasting and prosperous. Our aim is to bring the best products with minimal compromise. We listen to our dealers and develop products in partnership – in so the products are dynamic and ever evolving. For these reasons, Crossfire is able to offer our clients machines that are specifically designed for the Australian environment at the most competitive prices. We have an extensive heritage and experience in China and other markets. The relationship with our suppliers has been long-lasting and prosperous. Our aim is to bring the best products with minimal compromise. We listen to our dealers and develop products in partnership – in so the products are dynamic and ever evolving. For these reasons, Crossfire is able to offer our clients machines that are specifically designed for the Australian environment at the most competitive prices. We act as a One-Stop-Shop for our customers with a wide variety of products on offer spanning Recreational, Agricultural and soon to be Road Registerable markets. Crossfire has its own servicing department as well as service agreements with the Dealer Network Australia wide. With experienced personnel Crossfire strives to provide the best after-sale service for our customers. To be the Australia’s Market Leader within Asian high performance Motorcycle Industry. To grow in efficiency and gain ability to respond to our clients needs 24 hours a day, 7 days a week, every day of the year. Whether you want a shipment of Pit Bikes, Petrol Motorcycles, All Terrain Vehicles (ATV’s) or Parts and Accessories we have the skills and resources to make it happen. Crossfire is one of Australia’s fastest growing and most accomplished brands. With an array of off-road bikes from little 50cc and 70cc fun kids’ bikes to more serious CFR250 spec model, the range will have the young and old covered. ATV range starts at the 90cc kids quad and finishes at 800cc Farm ATV. UTV range goes from 250GT through to flagship 1000GTR Side by Side model. Our products are available for Australia wide distribution. Our Dealer Network covers every State and Territory in Australia..
CF50 and CF70 provide excellent options for kid's dirt bikes. Step it up to a CF110cc for bigger children. Follow on to CF125 or CF140L Trail bikes depending on size you are after. And take advantage of a bigger, more powerful bike - CF250 Dirt bike. Or, go all out with our competition CFR250 water cooled motorbike. Our children's quads start from 90cc and 110cc Kanga and Avenger 110cc quads which are perfect for children of all ages. 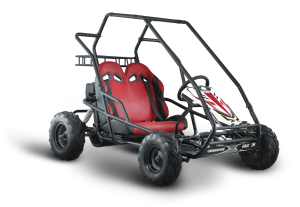 Go Karts are available in 100cc and 200cc. The Mustang Evo 2 and Evo 3 sports quads are fun to ride and very agile. With 250cc, it has plenty of power. Our farm quads begin with the X2 200cc and Scout at 250cc. The X400 and Territory 500cc add more features and power. 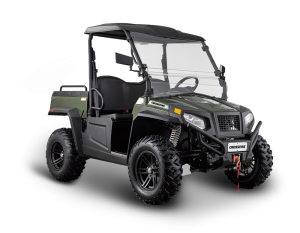 Overlander 800cc ATV finishes off the range. 250GT, 400GT, 500GT and 800GT incorporate the UTV range. Crossfire 1000GTR Side by Side is the top of the line flagship model. Our E1 is a true 4WD electric UTV vehicle.